There are many misconceptions about the humble bedbug. Bedbugs (or cimicids) belong to a highly specialized family of insects that feed off the blood of humans, bats, and birds. The best-known members are the temperate-climate parasite Cimex lectularius (which means "bedbug" in Latin) and Cimex hemipterus, a tropical version. Bedbugs are the most widely recognized insect in the world. They are known to have fed on humans for more than 4,000 years—and probably much longer. Unfortunately, there are many myths about these tiny pests. Bedbugs tend to bite on locations that are exposed during sleep—the arms, legs, and back as well as the face and eyes. The insects prefer sites that lack hair, with a thin epidermis that provices access to plentiful blood. However, bedbugs are not the only nocturnal feeder on humans. Quite a few other arthropods could be the cause of bite marks, including fleas, mites, spiders, or even bat bugs. Also, many medical conditions cause rashes that look similar to bug bites. If the marks persist but you don't find signs of an infestation, consider a trip to the doctor. Are you the only one in your household waking up with bites? People react to bedbug bites differently, just as they do with mosquito and other insect bites. Two people can sleep on the same bedbug-infested mattress, and one will wake up without any signs of being bitten while the other will be covered in bite marks. While bedbugs are pretty small insects, they aren't microscopic. If you know where to look for them, you can definitely see them without the aid of a magnifier. The bedbug nymph is roughly the size of a poppy seed. Adults measure a bit larger than 1/8th of an inch, or about the size of an apple seed or a lentil. The eggs, which are just the size of a pinhead, are harder to see without magnification. Although bedbugs all but disappeared in developed countries in the 1930s and again in the 1980s, global bedbug infestations are increasing in the 21st century. Rises in bedbug activity have been seen on every continent except Antarctica. In the United States, bedbugs are reported in all 50 states, and an estimated one in five Americans either has had a bedbug infestation in their home or knows someone who has. Today, infestations are found in offices and retail environments, in health and transportation buildings, and even in movie houses: basically, anywhere people sleep or sit. Although there is a great social stigma to having a bedbug infestation, bedbugs don't care how neat and tidy your house is, nor do they care if you're the best housekeeper on the block. As long as you have blood pumping through your veins, bedbugs will happily take up residence in your home. The same rule holds true for hotels and resorts. Whether a hotel has bedbugs has nothing to do with how clean or dirty the establishment is. Even a five-star resort can host bedbugs. One thing to keep in mind, however, is that clutter can make it much more difficult to get rid of bedbugs once they're in your home—the mess gives the insects plenty of places to hide. While bedbugs prefer to do their dirty work under cover of darkness, the light won't stop a hungry bedbug from biting you. In desperation, some people will try leaving all their lights on at night, hoping the bedbugs will stay hidden like cockroaches. All this will do is make you more sleep-deprived. Bedbugs spend most of their time hidden away. They only come out to feed once every three to seven days, usually from one to five a.m. They fully engorge themselves on your blood in 10 to 20 minutes, and then they go back to their hiding places to digest their food. After a meal, adult bedbugs may increase in length by 30 to 50 percent and in weight by 150 to 200 percent. Bedbugs do hide in the seams and crevices of your mattress. Since these nocturnal insects feed on your blood, it is to their advantage to live close to the place where you spend the night. But that doesn't mean bedbugs only live in mattresses. The insects also inhabit carpets and couches, dressers and closets, and even places where you'd never think to look, such as inside picture frames and switch plate covers. Infestations can be extremely costly, resulting in multimillion-dollar damage in the hospitality industry, poultry industry, and private and communal households. 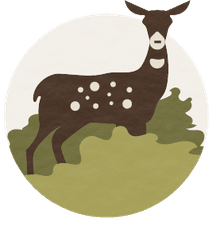 Costs include payment for pest control, damage to social reputation, and replacement of infested clothing and furniture. Bedbug saliva contains a substance that serves as a mild anesthetic, so when one bites you, it actually does you the favor of numbing your skin first. It's very unlikely that you'd ever feel a bedbug bite when it happens. Reactions to bites vary from individual to individual. Some people have no reactions at all; often the bites start out as small indistinct lesions about two-tenths of an inch in diameter, which may develop into larger circular or ovoid welts. Some may grow as big as 2.5 inches in diameter. If there are a large number of bites, they can give the appearance of a generalized rash. They itch intensely, cause sleep deprivation, and can be associated with secondary bacterial infections as a consequence of scratching. Bedbugs aren't built for jumping. They simply don't have the legs for it like fleas and grasshoppers do. Bedbugs don't have wings, either, so they can't fly. They can only crawl for locomotion, so moving from the floor to the bed requires them to climb up a leg of the bed, or to scale belongings or furniture you've placed nearby. This can work to your advantage if you're battling bedbugs, as you can create barriers to keep them from climbing onto your bed. Cover the bed legs in double-sided tape, or place them in trays of water. Of course, if your bedspread touches the floor, the bedbugs will still be able to climb up, and the insects have also been known to crawl up the wall to the ceiling and then drop onto the bed. Although bedbugs can and do carry infectious diseases, there is little danger of the viruses being transmitted to humans. So far, scientists have found no evidence that bedbugs are capable of transmitting diseases to human hosts. For this reason, they're considered a nuisance pest rather than a health threat. But even though they don't transmit diseases, bedbugs aren't harmless. 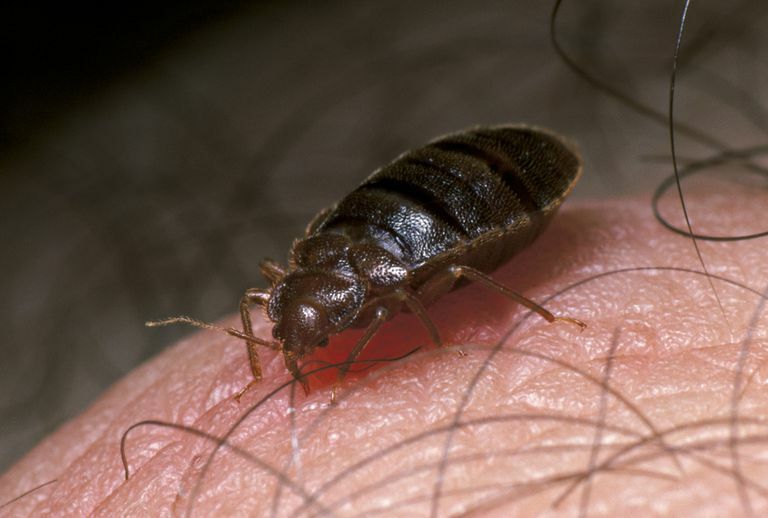 Some people experience severe allergic reactions to bedbug bites, and people who are bitten sometimes suffer from secondary infections. The emotional stress of dealing with a persistent bedbug infestation can also have a negative impact on your health. Technically, this is true. Under the right conditions, bedbugs have been known to survive as long as a year without a meal. Bedbugs, like all insects, are cold-blooded, so when temperatures drop, their body temperatures decrease. If it gets cold enough, bedbug metabolism will slow down, and they'll stop eating temporarily. However, it is highly unlikely that it would ever get cold enough in your home to trigger such a long period of inactivity. For practical purposes, then, this statement is false. At normal room temperature, a bedbug might go as long as two to three months without a meal, but that's about it. Where Do Bedbugs Come From and Why Do They Hide in Furniture?